Manufactured by Solideal. Designed for the longest service life possible with the lowest down time. 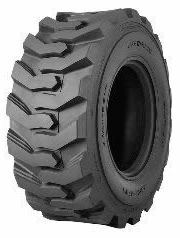 The tough high flotation skid-steer tire that wears like solid rubber.